Calling all Bushiroad Fans! 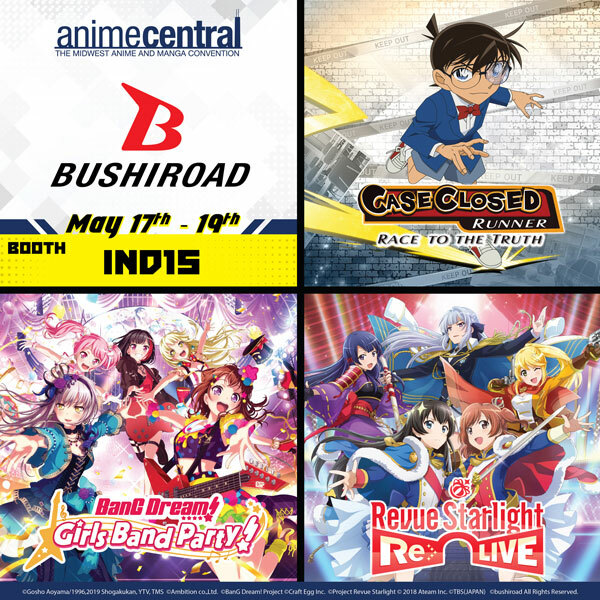 Bushiroad is coming to Anime Central (A-Cen)! Come stop by our booth #IND15 to try out our latest mobile game titles such as BanG Dream! Girls Band Party! as well as upcoming releases such as Revue Starlight Re: LIVE and Case Closed Runner: Race to the Truth! Mark your calendars and be sure to stop by! See you there!